Lionel Sharples Penrose, FRS (11 June 1898 – 12 May 1972) was a British psychiatrist, medical geneticist, mathematician and chess theorist, who carried out pioneering work on the genetics of mental retardation. Penrose was educated at the Downs School, Colwall and the Quaker Leighton Park School, Reading. On leaving school in 1916, he served, as a conscientious objector, with the Friends' Ambulance Unit/British Red Cross in France until the end of the First World War. He went on to study at St. John's College, Cambridge; he was a Cambridge Apostle. Penrose's "Colchester Survey" of 1938 was the earliest serious attempt to study the genetics of mental retardation. He found that the relatives of patients with severe mental retardation were usually unaffected but some of them were affected with similar severity to the original patient, whereas the relatives of patients with mild mental retardation tended mostly to have mild or borderline disability. Penrose went on to identify and study many of the genetic and chromosomal causes of mental retardation (then called mental deficiency). This body of work culminated in the book, The Biology of Mental Defect (Sidgwick and Jackson, Ltd., London, UK, 1949). "Professor Penrose and his associates have been responsible over the years for studies which touch all aspects of human genetics, include genetic analyses of most of the known hereditary diseases, contributions to mathematical genetics, biochemical genetics, the study of gene linkage in man, and theoretical work on the mutagenic effect of ionizing radiations. Most recently their attention has been turned to abnormalities of human chromosomes associated with congenital defects, particularly mongolism (Down syndrome)." Penrose's Law states that the population size of prisons and psychiatric hospitals are inversely related, although this is generally viewed as something of an oversimplification. Penrose, a member of the Society of Friends (Quakers), was a lead figure in the Medical Association for the Prevention of War in the 1950s. Penrose developed the Penrose method, a method for apportioning seats in a global assembly based on the square root of each nation's population. Such a voting system is based on the voting power of any voter (measured by the Penrose–Banzhaf index) decreasing with the size of the voting body as one over its square root. See also Penrose square root law. Shirley Hodgson (born 1945), geneticist. 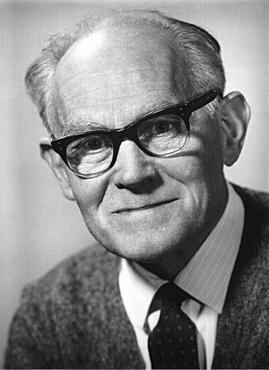 After Penrose's death, Margaret married the mathematician Max Newman (1897–1984). She died in 1989. Penrose' father was James Doyle Penrose. His mother was Elisabeth Josephine Penrose (nee Peckover)and his brother was Sir Roland Penrose, both British artists.